This is a semi-technical article for the DC Heroes RPG. As with essentially everything on writeups.org this article depicts fiction (particularly super-heroes comic books) ; references to real-world facts are only thrown in for those who need some verisimilitude. The sets of generic stats in this article are presented in rough order of fighting power and rarity in stories — from the weakest and most common to the most elite. A tall, large, intimidating man whose job is to discourage importunate persons from acosting his principal. In fiction these are seldom good fighters – they tend to be depicted as all bark and no bite and easily taken out by cinematically-skilled fighters. Most will wear a dark suit, though those guarding artists will often wear street clothes with something of a biker theme. 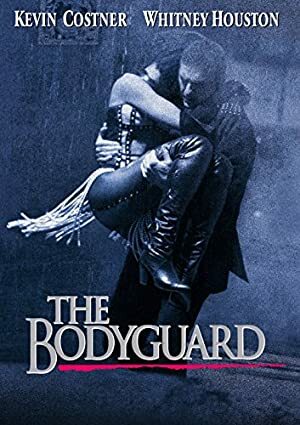 In fiction such guards are not usually armed, or do not get to use their weapons – they’re chiefly hand-to-hand fighters. CONCEALED VEST [BODY 03, Blunting: 04, Limitation: Partial coverage (Vest), Drawback: Real armour]. 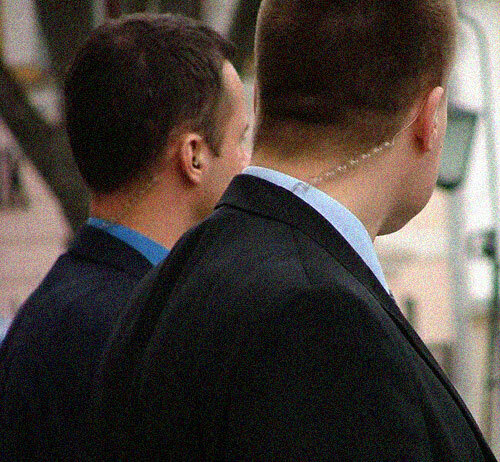 The basic professional bodyguard profile, complete with concealed handgun and in-ear radio. These guys are usually depicted as competently executing basic security procedures and have a good chance of being ex-military. Basic security procedures will not suffice when faced with a sufficiently clever or overwhelming attack, however. Like ninjæ, SWAT operators, soldiers and the like bodyguards suffer from the Faceless Fighter Syndrom as they’re all guys in dark suits and dark shades – and this lack of individuality, in fiction, normally results in being treated as mooks. Some may have a bit of Military Science. 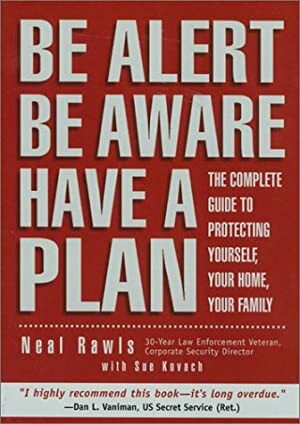 Familiarity (Personal protection) and often Familiarity (Military equipment and protocols). Discreet In-Ear Radio [BODY 01, Radio communications: 03, R#03]. Sunglasses [BODY 01, Shade: 01]. Compact Handgun [BODY 03, Projectile weapons: 04, Ammo: 09, R#03]. 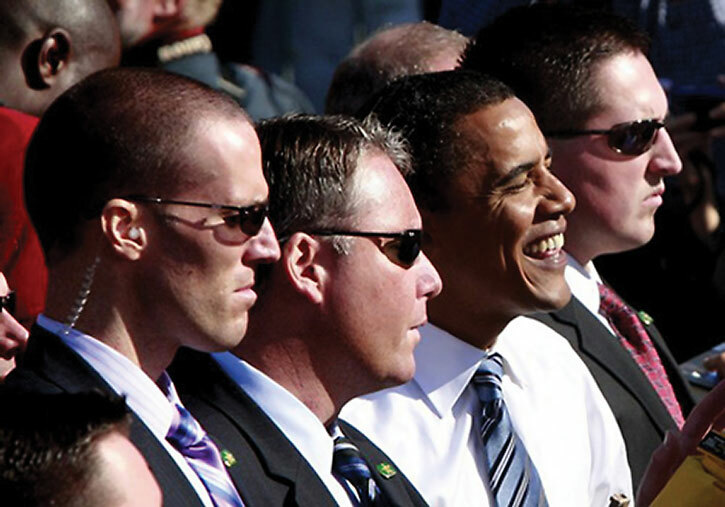 Evolving standards mean that it’s now okay for bodyguards to be openly armed in some circumstances, usually with a Submachinegun [BODY 04, Projectile weapons: 05, Ammo: 07, R#02, Advantage : Autofire]. Like most “elite” characters in our stock profiles, this type is seldom seen in fiction. But it gives a good sense of the upper end of the scale, and can serve as a base for a character who’s a bodyguard. 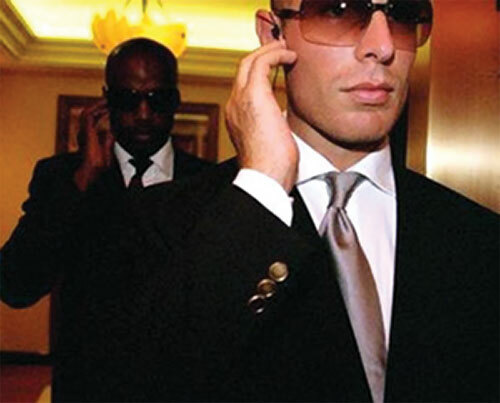 NPCs with these stats will often be former Secret Service operatives gone private, like Sasha Bordeaux in her earliest Batman appearances or Kevin Costner in Bodyguard. Like most “elite” profiles in the stock stats articles, the stats imply that the character exists at the cusp of being a named protagonist. CONCEALED VEST [BODY 03, Blunting: 05, Limitation: Partial coverage (Vest), Drawback: Real armour]. Discreet In-Ear Radio [BODY 01, Radio communications (Encrypted): 04, R#03]. Sunglasses [BODY 02, Shade: 01]. SIG-Sauer P229 [BODY 03, Projectile weapons: 04, Ammo: 12]. If it’s feasible to be openly armed, a Personal Defence Weapon [BODY 04, Projectile weapons: 05, Sharpness (Projectile weapon): 02, Ammo: 12, R#02, Advantage : Autofire] – see the Small Arms article on writeups.org. ARMOURED SUV [STR 05 BODY 10, Running: 07]. A very expensive SUV, armoured and with a more powerful engine, to transport or evacuate the principal. Helper(s): Dr. Peter Piispanen, Mark.